Now I'm doing a business selling USB Modem as I am the dealer for Kuantan area. I've given out the handbills and posters around IIUM Kuantan Campus. One most popular question asked is: how much need to pay monthly? To answer that question, it's simple. It's like you're first time using the mobile phone. You buy the mobile phone and the simcard. I only sell the mobile phone, not the simcard. You need to go to, for example, Celcom Center (next to Kamdar in Kuantan city) for registration and getting the simcard. For IIUM Kuantan Campus, I recommend people to use Celcom Broadband with package RM68/month which is most suitable for university students. 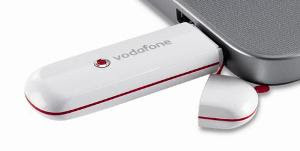 Next, I recommend people to buy the latest version of Vodafone USB Modem which is E172 (read review) with the price RM490 only. Yesterday I went to Celcom Center and they sell it for RM599! That's a huge price difference! Those who are interested may contact me to the number 013-9991703 or 012-3106189.
warranty dia brape thn ek? ?